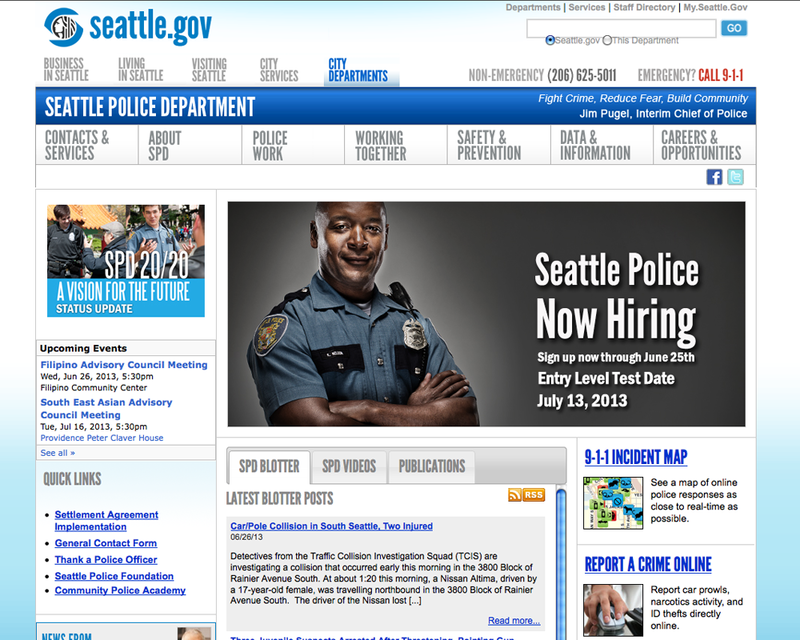 Seattle Police Department - Creative Networks Protocol Inc.
CNP developed a private intranet system – a custom architecture to help officers across departments securely access internal confidential information from desktop, mobile and patrol units . 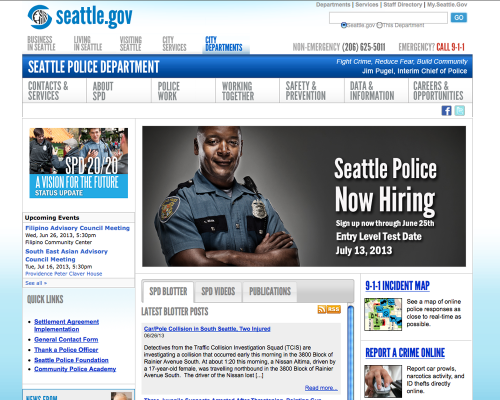 CNP’s worked with the SPD’s IT department to integrate the new system with existing systems, implement single sign on and implement advanced security protection. They trained the in-house staff on how to administer, update and integrate their classified and confidential content.